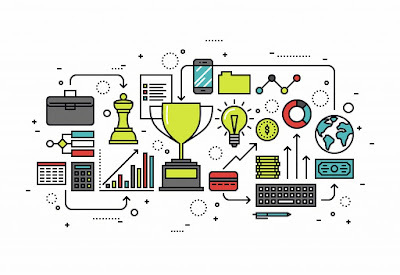 Honeywell has announced the second edition of the Honeywell Smart Building Awards in India, calling for entries from across the country. Honeywell has partnered with the Network 18 Group (media partner) and KPMG (process validators and evaluators) to launch the Network 18 & Honeywell Smart Building Awards 2016. Participation in the competition is open to all building owners and facility managers across India who agree to be evaluated under the parameters of the Honeywell Smart Building Score, a global building assessment framework. Participants will take a self-assessment of 15 technology asset groups that make a building green, safe, and productive, based on their building systems’ overall capability, coverage of the facility and uptime. The scores will be validated by KPMG and affirmed by an eminent jury composed of India’s leading authorities on energy efficiency, safety, security, and productivity in buildings. 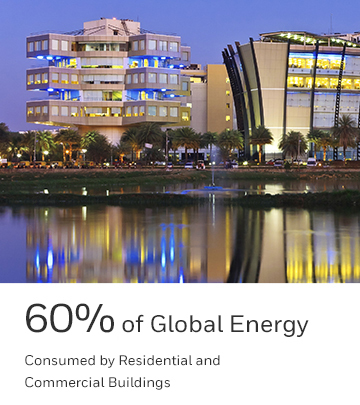 · The Green asset group measures the environmentally sustainable components of a building. It includes a building’s use of energy sources, utility sources, temperature control, energy control, and utility control, all of which impact carbon emissions, a facility’s environmental footprint, and utility costs for the building occupant or user. · The Safe asset group measures the safeguards for the building, its occupants, users and owners. It includes people, vehicle and material security, fire safety, gas safety, worker safety, and disaster response systems. · The Productive asset group measures enhanced comfort and productivity for users and owners. 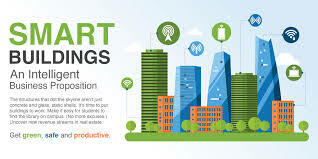 It includes technologies that help boost productivity include indoor air and water quality sensors, people, vehicle and material circulation, personalization, connectivity, and energy quality. 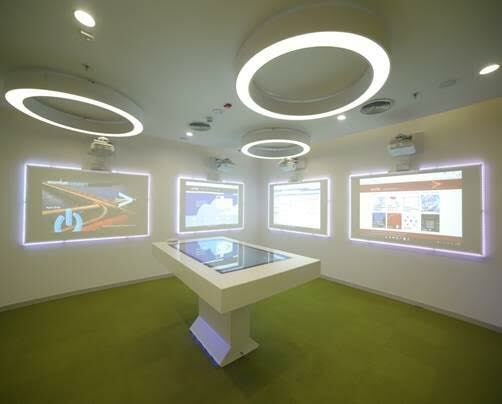 Honeywell is uniquely positioned with the broadest technology solutions portfolio that serve buildings to support India’s 100 Smart Cities vision, and is already working on several significant projects, including Bhubaneshwar in Odisha, Aurangabad in Maharashtra, Ujjain in Madhya Pradesh, and an 11-city project in a large central state. 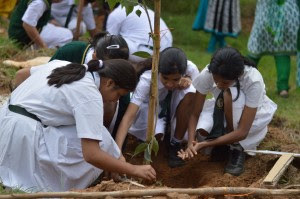 Toyota Kirloskar Motor, in pursuance of its strong commitment towards ensuring balance in environment, organized a reforestation drive at the Bannerghatta National Park. Toyota gives top priority to environment management and is working to reduce greenhouse gas emissions at all stages of vehicle life cycle, including development, design, production, logistics and sales as well as in all business areas. 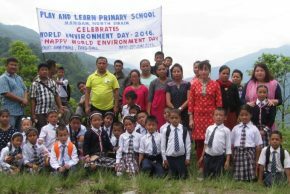 The event witnessed participation from 600 TKM employees with their family, along with 150 students from Delhi Public School, Bangalore South, and 100 members from the Karnataka Forest Department. About 500 saplings were planted by the members who participated in the noble cause to spread awareness on conservation of native ecosystem and contribute towards reducing the carbon footprint. A fully grown tree can roughly sequester 20kg of CO2 per year and generates about 118 kgs of oxygen per year. Human being uses about 550 litres of pure oxygen per day. A single mature tree can release enough oxygen to support 2 human beings. Planting trees and restoring the green is one of the most effective means to reduce carbon emissions. Sunil Panwar, Deputy Conservator of Forests, Karnataka Forest Department, Bannerghatta National Park, Raju B Ketkale, Senior Vice President, Toyota Kirloskar Motor and Manju Sharma, Principal Delhi Public School, Bangalore South, were the dignitaries present at the afforestation drive. Toyota Kirloskar Motor initiated a large scale afforestation drive in the year 2009 by planting 36000 saplings in a single day involving all its stakeholders to develop a greenbelt within its boundaries. TKM has planted around 2,65,000 saplings involving team members with the unique Japanese Miyawaki method. The plant at Bidadi has been designed in line with the Eco factory concept at Toyota. The company has undertaken unique environment friendly initiatives in the manufacturing facility like water based painting to reduce VOC emissions, low CO2 footprint technologies like Servo machines, vermi-composting for waste minimization, biogas plant to reduce LPG usage and rain water harvesting to reduce fresh water consumption. The water recycling & rainwater harvesting efforts at TKM manufacturing unit ensure least dependence on Freshwater/River water ensuring sustainable community. The rainwater harvesting structure with a storage capacity of 25000 m3 was constructed, which has helped in saving consumption of 60000 m3 of freshwater last year. Moreover, through consistent efforts TKM has achieved a reduction of 8000 tons of CO2 compared to last year. Toyota has decided to challenge itself to reduce vehicle CO₂ emissions to ZERO in comparison with 2010 levels, by 2050. From fuel efficient vehicle to developing ground breaking technology, TKM focuses on environmentally sustainable solutions in every business operation and every vehicle that is manufactured. Toyota also works towards increasing Hybrid vehicles in India. Hybrid technology is one of the finest examples of green future which minimizes the usage of existing exhaustible resources. The company boasts of a rich lineage of over 15 years in hybrid with over 8 million hybrid cars across the globe. According to a recent analysis done by the Centre for Ecological Studies at the Indian Institute of Science, in the last 40 years Bangalore has seen a phenomenal increase of 625% in built up area and the vegetation of the city has seen a decline of an alarming 78%. The rapid urbanization has led to the alarming depletion of green cover in the city which as has resulted in human-wildlife conflict and dangerous levels of toxic matter in the atmosphere. Kingston has announced two additions to its Wireless family with MobileLite Wireless G3 and MobileLite Wireless Pro. MobileLite Wireless G3 provides mobile device users an extra boost when on the go. With its large 5400 mAh battery fully charged, MLWG3 can charge smartphones up to two times. Charging devices is also faster with 2A output charging maximum. Similar to previous generations, MLWG3 has a USB port and SD card slot allowing users to access files on a USB Flash drive or SD card on their smartphone or tablet wirelessly. Through the MobileLite app, users can easily transfer, backup or share photos, videos and other content without having to use a PC. This also allows users to free up precious space on mobile devices without deleting or using Cloud based backups. Both devices are Dual Band Wi-Fi capable (802.11 ac) for fast data transfer. MobileLite Wireless Pro has all of the same features as MLWG3 but also offers 64GB of memory built-in to go along with its even larger 6700 mAh battery. In addition to charging mobile devices and wirelessly streaming data, users now have convenient access to extra onboard storage. MobileLite Wireless G3, with an MRP of Rs. 4,999, and MobileLite Wireless Pro, with an MRP of Rs. 8,999, is now available in leading online and retail stores. Both these devices are backed by a two-year warranty and legendary Kingston reliability. World's leading smartphone-maker Samsung has unveiled two mobile phones Galaxy J2 (2016) and Galaxy J Max in Bengaluru on Friday aimed at the mass market. Infact, the Samsung developed TS technology has been implemented for the first time in the J2 series. Samsung, which enjoys 51% market share in Karnataka, on Friday launched two new additions to its Galaxy J series of smartphones - J2 2016 and J Max. 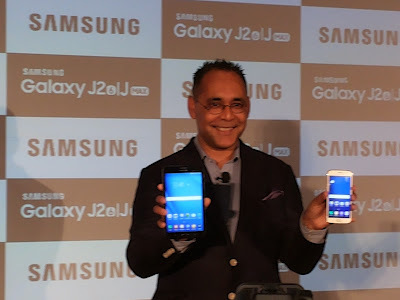 Launching the two phones, Samsung India Vice President (Mobile Business) Manu Sharma said that the industry-first Turbo Speed Technology (TST) in J2 2016, is home-grown in its Research labs in India, and is first being introduced in the Indian market. Galaxy J2 2016 is a follow-up version of the Galaxy J2 launched in 2015. "This new smartphone has been reengineered, redesigned and reloaded with various features including Smart Glow, a next-gen colour LED notification system for users," he said, adding that there is almost 40% faster download of apps in this new phone. Another addition - Galaxy J Max - offers a seven-inch WXGA display, along with 4G VoLTE connectivity for fast downloads and streaming. It contains a 4,000 mAh battery. Both these phones feature S bike mode, a dedicated bike mode's urgent call alert system that notifies callers through an automated answering machine and Ultra Dating Saving mode. While the Galaxy J2 2016 will be available from July 10 onwards at Rs 9,750; Galaxy J Max, priced at Rs 13,400, will be available from the end of this month across both online and offline retail channels. 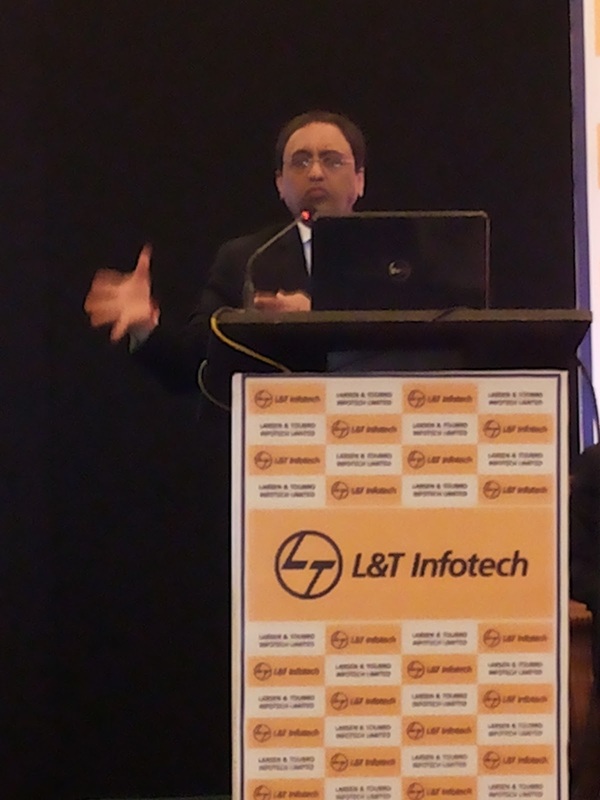 Talking about 4G, Sharma said that consumers prefer and enquire about 4G phones. 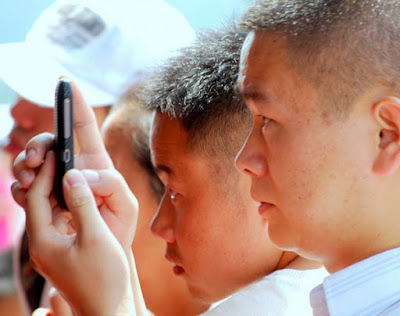 Almost 60% of all segments of smartphones were 4G-enabled," he said and Samsung enjoys 48.3% market share in the country. What is Turbo Speed Technology? 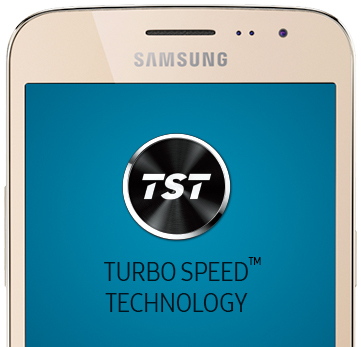 An industry first, Turbo Speed Technology (TST) enhances the performance of the smartphone by using the least amount of resources to complete a particular task in the fastest time. It loads apps up to 40% faster than devices with double the RAM. The Samsung technology was developed in India by engineers based out of Bengaluru and Noida research centres and have made a quantum leap in optimizing the operating system and hardware to provide consistent best-in-class performance out of the box and over time. TST. Is feature proactively shuts down idle processes running in the background. It de-clutters RAM using its intelligent memory system to ensure resources like RAM and processor are free and ready to take on new tasks, said a company official. Larson and Turbo Infotech, which is the sixth largest Indian IT services company, will hit the primary market on July 11, 2016 and will close on July 13, 2016. A discount of 10 percent per share will be offered to retail individual bidders on the offer price. 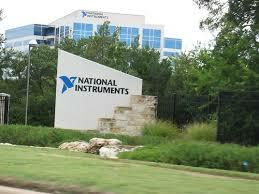 Sources indicate that this is the first major IT player to roll out its IPO in the last 10 years. The Initial Public Offer (IPO) will offer of up to 17,500,000 equity shares of face value of Re 1 each for cash at a price-band from Rs 705 to Rs 710 per equity share. 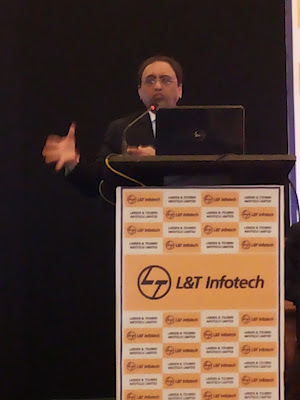 "LnT Infotech will not enjoy the proceeds of the issue as this will be an offer for sale, and the sale amount will go to LnT," said top company officials. The lead bankers for the IPO are Citigroup Global Markets India, Kotak Mahindra Capital Ltd and ICICI Securities Limited. S N Subrahmanyan, President and Deputy Managing Director, LnT, said the company is working with 248 clients including 49 Fortune 500 clients. Close to 47% of its revenues comes from the BFSI (Banking, Financial Services and Insurance) sector. 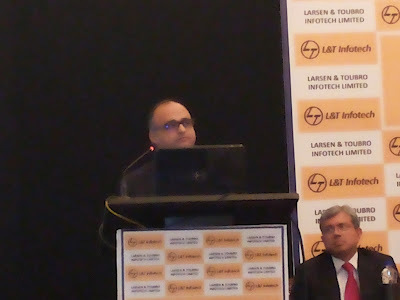 Sanjay Jalona, CEO and MD of LnT Infotech, said they do not see any impact of Brexit. 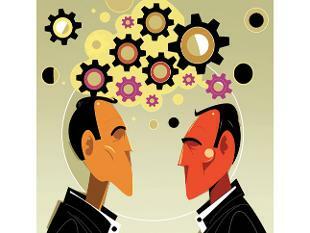 "It could be an opportunity for IT companies. Around 17% of our revenues come from Europe," he said. Ashok Sonthalia, CFO of LnT Infotech, said the employee headcount increased from 17,627 in FY14, to 20,072 in FY16, and that its PAT CAGR is 18.2% (2014-16). The executives pointed out the huge market opportunity ahead for the company. Lately, India has been seeing a steady growth in the sports utility vehicles (SUVs) across the country. Hyundai Motors India Ltd, a leading global South Korean car maker post the launch of the 1st Anniversary Edition of the Creta in Bengaluru on Thursday said that company will be launching Tucson in October or November 2016 followed by the Iconic Genesis later on. During the first six months of the calendar year, Hyundai’s mid-segment and executive segment growth fell by 25-35% across the industry, while the SUV market picked up. Currently in its third generation, the Tucson has been undergoing testing on the Indian roads and the SUV will be positioned between Creta and the Santa Fe SUVs in Hyundai's portfolio. As Creta is contributing significantly to our business, it's time to shift some of our focus from the mid and executive segments to the SUV segment," adds Koo. 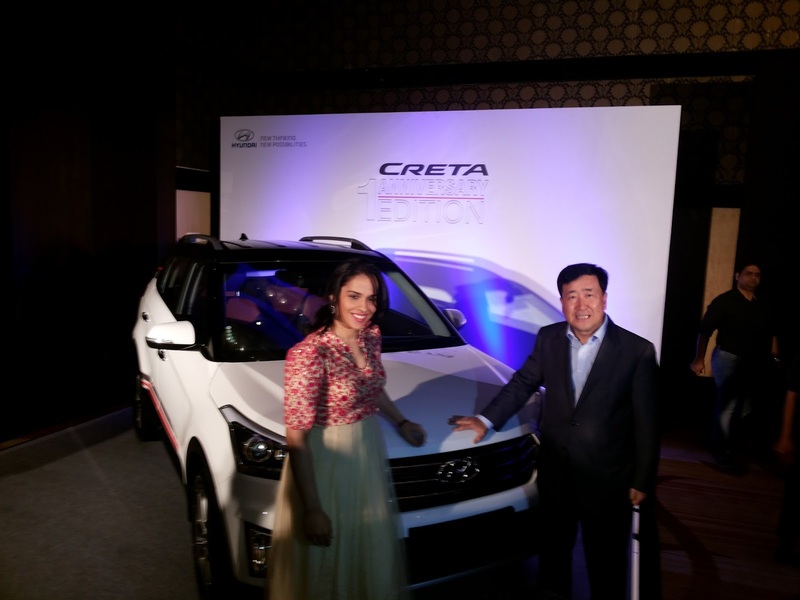 Infact, over the last one year, Hyundai's compact SUV sensation Creta created a sensation in the Indian car market. The Tucson SUV will also manufactured out of the company's unit in Chennai giving a boost to PM Modi's 'Make in India' initiative. 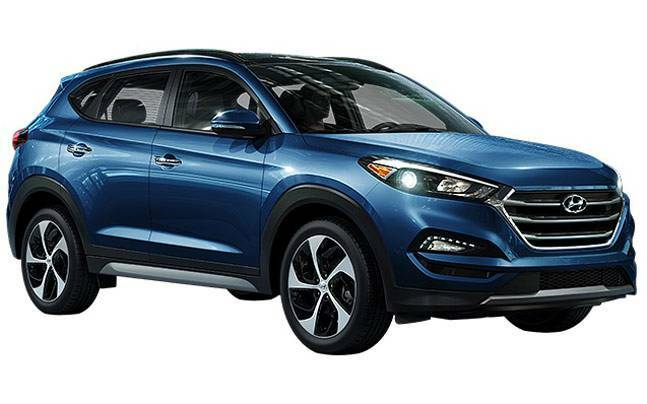 The new Tucson will have Hyundai’s large, new hexagonal grille up front, elongated headlamps that stretch all the way from the grille to the fenders, and heavily stylised fog lamp enclosures that contain two individual lighting elements. The SUV in India is expected to be powered by a 2.0-litre diesel engine producing 180bhp and 400Nm of torque mated to six-speed manual transmission. The AWD version of Tucson is also expected to be introduced in the Indian market. Reports indicate that the first generation of the Tucson was sold in India during 2005-2010, but it was discontinued due to poor sales. The new Tucson is likely to be priced between Rs. 15 lakh and Rs. 20 lakh. 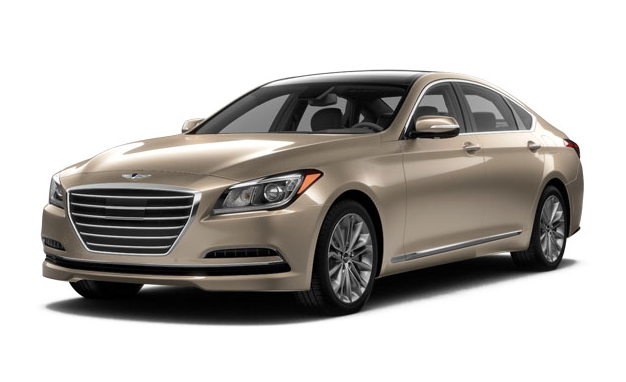 Hyundai Motor India Ltd. (HMIL) CEO, Young Key Koo announced that the luxury Genesis brand will be launched in the country over the next few years provided HMIL succeeds in the mid- and premium-segments by then. The South Korean car-maker is set to compete with the likes of the Mercedes-Benz E-Class, BMW 5 Series, Audi A6 and the Jaguar XF. Internationally, the Genesis is available with two engines. A 3.8-litre V6 that makes 311bhp and a more powerful 5.0-litre V8 that produces a hefty 420bhp. Both engines are mated to an eight-speed automatic gearbox that sends power to the rear wheels. However, the 3.8-litre variant also comes with an optional all-wheel-drive system. 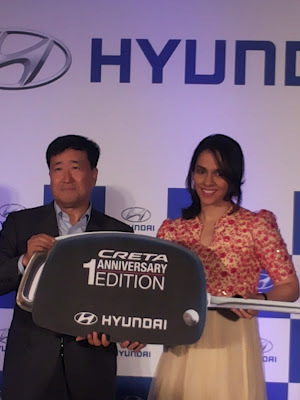 At the 1st anniversary edition of the Hyundai Creta launch in India, Hyundai Motors India Limited (HMIL) has presented Saina Nehwal, the ace Indian Badminton star, this special edition of the compact SUV comes in celebration of her ‘Unparallel Contribution to Indian Sports in India. Saina Nehwal is amongst the most decorated athlete in the country having won Arjuna Award, Rajiv Gandhi Khel Ratna, Padma Shri and Padma Bhushan in 2016 besides winning a Bronze in the last Olympics in London. 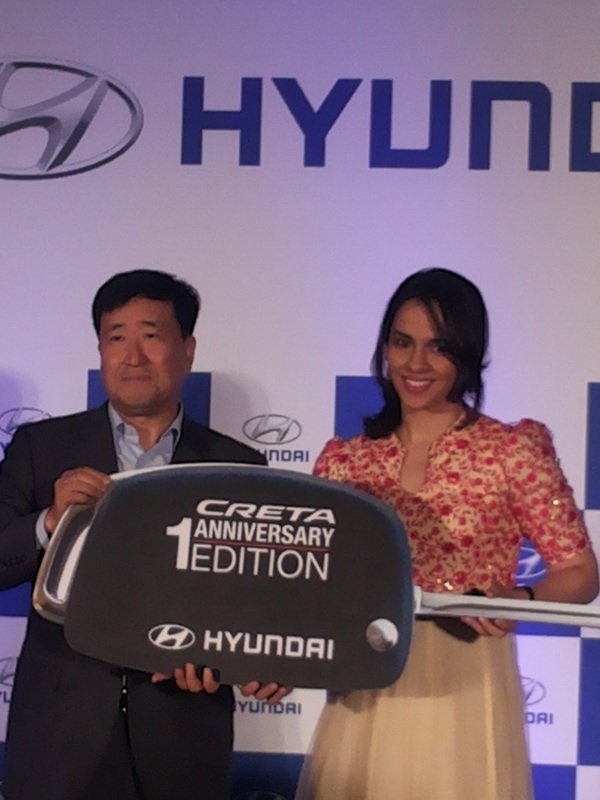 Creta anniversary edition features special design like the decals on the outside and also gets red wing mirrors and contrasting black roof on the outside. On the inside, the SUV is given new updates which features interesting and stylish leather upholstery, floor mats, door sills and aluminum pedals and leather steering inside the car. The vehicle is going to be priced with an additional cost of Rs 35,000 to Rs 40,000 over the earlier model. National Association of Software and Services Companies (NASSCOM) has launched India’s first Centre of Excellence - Internet of Things (CoE- IoT) at the NASSCOM Startups Warehouse in Bengaluru. The centre was inaugurated by Ravi Shankar Prasad, Union Minister for Law, Government of India, in the presence of Priyank Kharge, Minister for Information and Broadcast Technology, Govt. of Karnataka, along with V Manjula, IAS, Principal Secretary, Department of Information Technology, Biotechnology, e-Governance and Science and Technology, Govt. of Karnataka, Ajay Kumar, IAS, Additional Secretary, Department of Electronics and Information Technology, (DeitY), Dr Neena Pahuja, Director General, Education and Research Network, (ERNET), R Chandrashekhar,President, NASSCOM, KS Vishwanathan, Vice President Industry Initiatives, NASSCOM. The CoE will focus on leveraging IT strengths and creating a new age industry with the support of IoT based ideas. The CoE is a joint initiative between the Department of Electronics and Information Technology (DEITY), Education and Research Network (ERNET) and NASSCOM. 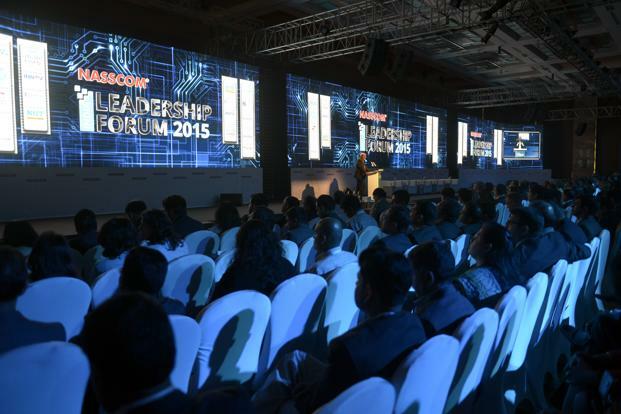 The CoE is also supported by Accenture, CISCO, Cyient, EMC, Intel, HCL Technologies, Qualcomm, Tata Consultancy Services, LnT Technology Services, Robert Bosch and VM Ware as Strategic partners. Amazon Web Services, Digital Ocean, IBM, Microsoft have signed up as Infrastructure partner to the initiative. The CoE laboratory along with the NASSCOM 10,000 Startups Warehouse has the capacity to incubate up to 40 start ups and can accommodate around 10 emerging companies per shift for prototype/ design and usage of lab facilities. The CoE also provides a separate space for validation, verification and demonstration as well as concept labs for developing IoT solutions for application areas like Agriculture, Automobile, Telecom, Healthcare and Consumer IoT. The digital revolution accelerated by intelligent devices along with a booming startup environment has presented the need for a Centre of Excellence with a complete focus on the Internet of Things. With a presence of over 120 IoT focused IT companies and an expected market opportunity of USD 15 billion by 2020, India is set to gain a prominent position in the global IoT market. An increase in the adoption of IoT based technology in areas of home, retail and industrial automation, health & fitness monitoring and connected vehicles as well as the advent and growth of Smartcities, has resulted in a greater need of better solutions that lead to the evolution of a lifestyle dominated by technology. 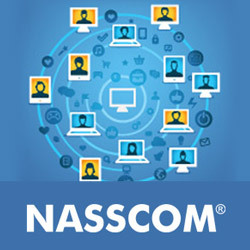 NASSCOM is focusing on systemically expanding the technology ecosystem and the IoT CoE will play the role of collaboratively addressing challenges such as the lack of understanding that leads to low adoption levels and security issues faced by the industry. Multiple IoT based firms will be selected from over 250 entries to be incubated at the CoE, through a roadshow held across Coimbatore, Bangalore, Hyderabad, Ahmedabad and Mumbai. The first five companies out of the total entries are Wireless Controls, Uncanny Vision, LightMetrics, ThingsCloud and SAAR Microsystems. NI, the provider of solutions that enable engineers and scientists to solve the world’s greatest engineering challenges, announcedtoday the world’s first software defined radio (SDR) for the millimeter wave (mmWave) spectrum. The new NI mmWave Transceiver System is a full transceiver that can transmit and/or receive wide-bandwidth signals at an unprecedented 2 GHz real-time bandwidth, covering the spectrum in the E-band, 71-76 GHz. Engineers and scientists have used SDRs ubiquitously in the spectrum below 6 GHz for years. However, with companies investing in mmWave as a potential core technology for 5G, researchers now have a full-featured SDR platform to drive initiatives based on this technology. Amazon.in has announced that it has invested in six new Fulfilment Centres (FCs) to meet the growing needs of its fast-growing seller base in the country. New FCs will be set up in Chennai, Coimbatore, Delhi, Jaipur and Mumbai further expanding the company’s presence in India and in preparation for the upcoming festive season. With the launch of these new FCs, Amazon.in continues to have the largest storage space for an e-commerce company in India with its FCs operational across 10 states covering a total area of close to 2.5 million square feet with a 1.5X growth in storage capacity which is 7.5 million cubic feet of space. 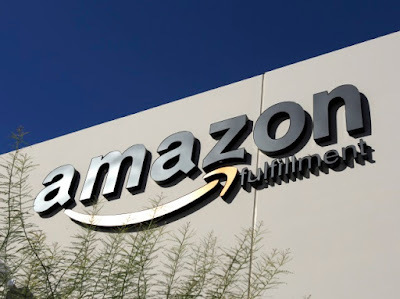 The FCs will allow Amazon.in to offer its Fulfilment by Amazon (FBA) service to several thousand more small and medium businesses in these states and empower them to gain access to and service customers across the country at significantly low operating costs. Over 80% of sellers on Amazon.in currently use its fulfilment services. “With the exponential growth of online shopping in India, we are glad to announce 6 new Fulfilment Centres in India. We remain committed to investing in our fulfilment and logistics capability to enable and empower sellers to serve customers nationally at lower costs. It stands testament to our larger commitment of making deep investments in the country and in turn creating opportunities for employment, growth and revenue generation for the Government” said Akhil Saxena, Vice President, India Customer Fulfilment, Amazon India. Today, over 1.3 million products are available for immediate shipping through the network of Amazon’s FCs in India. This selection will only increase with the expanding FC footprint and benefit sellers and customers alike. Today, Amazon FCs are present in Gujarat, Haryana, Karnataka, Maharashtra, Delhi, Punjab, Rajasthan, Tamil Nadu, Telangana and West Bengal. Saxena added, “At the same time, Fulfilment Centres fulfil important needs of small and medium enterprises seeking markets and customers located all over India and lacking resources to create their captive distribution networks; local entrepreneurs seeking opportunities to provide goods and services; qualified and educated young workforce in remote and rural areas seeking employment and skill development. Apart from these benefits, the FC will also enable faster and quicker delivery of products to consumers across the region” he added. Amazon has created one of the most advanced fulfilment networks in the world and sellers in India have been benefitting from Amazon’s expertise in fulfillment, reliable nationwide delivery and customer service. When using Fulfilment By Amazon (FBA), sellers across India send their products to Amazon’s FCs and once an order is placed, Amazon picks, packs and ships the order to the customer, provides customer service and manages returns on behalf of the sellers. Orders fulfilled by Amazon are eligible for Cash on Delivery, Guaranteed Next-Day, Same Day, Release Day and Sunday delivery. Sellers save money by replacing their upfront capital expense with low variable cost and pay only for the storage space they use and the orders that Amazon fulfils. Sellers always have the flexibility to choose the number of products they want to have fulfilled by Amazon and scale according to their business requirements. Since its launch in June 2013, Amazon.in has been working extensively to launch services that meet different business requirements of sellers and help them grow their business profitably online. Over the past three years, Amazon.in has introduced the most comprehensive suite of offerings for sellers to sell online in India. 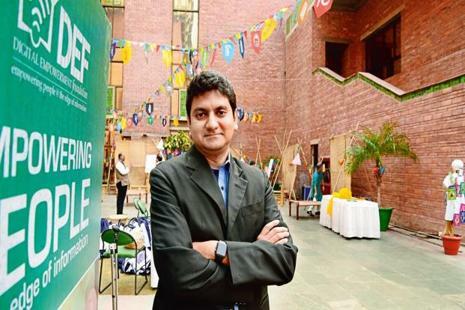 From running an extensive education and skilling program for SMEs called Seller University, offeringFulfilment By Amazon, innovating Easy Ship (an assisted shipping service that makes it easy for sellers to ship products across India), launching Seller Flex (bringing Amazon’s flagship FBA experience to the seller’s doorstep by implementing the FBA technology at sellers’ warehouses), introducing Amazon Tatkal (a service-on-wheels to help SMBs get online within 60 minutes), to building the largest storage capacity in ecommerce in India for sellers to the tune of 7.5 million cubic feet, Amazon.in has been helping sellers reach millions of customers across the country. Amazon launched its Global Selling Program for sellers in India in May last year and today over 8,000 sellers from India are selling their ‘Make in India’ products on Amazon’s nine global marketplaces to over 300 million active worldwide customers. All Consumers on www.amazon.in and the Amazon mobile shopping app have an easy and convenient access to over 55 million products across hundreds of categories. They benefit from a safe and secure ordering experience, convenient electronic payments, Cash on Delivery, Amazon’s 24x7 customer service support, and a globally recognized and comprehensive 100% purchase protection provided by Amazon’s A-to-Z Guarantee. They can also enjoy Amazon.in’s guaranteed same day, next-day, two day delivery, release day and on products fulfilled by Amazon. Data center systems' spending is projected to reach $174 billion in 2016, a 2 percent increase from 2015. The market is driven by strong growth in the server markets in Greater China and Western Europe, and a strong refresh cycle in the North American enterprise network equipment market. Global enterprise software spending is on pace to total $332 billion, a 5.8 percent increase from 2015. North America is the dominant regional driving force behind the growth. It is responsible for $11.6 billion of the $24 billion dollar increase in 2016. At a segment level, the fastest-growing market continues to be customer relationship management software. Devices spending is projected to total $627 billion by the end of 2016. The lackluster economic issues surrounding Russia, Japan and Brazil will hold back demand and worldwide PC recovery in 2016. Additionally, Windows 10 upgrades have further led to PC buying being delayed — consumers are willing to use older PCs longer, once they are upgraded to Windows 10. Spending in the IT services market is expected to increase 3.7 percent, totaling $898 billion. Japan is the fastest-growing region for IT services spending with 8.9 percent growth. With an increase in digital business projects, Japanese companies are starting to better understand that they need consulting support to transform their business and advice around new technologies from consultancy companies. Critically, they now see real value in those services and consequently are willing to pay for the services. Communications services spending is projected to total $1.38 trillion in 2016, down 1.4 percent from 2015. Japan leads the growth in communications services, with 8.3 percent growth, while Greater China adds the most dollars to spend with just more than $8.3 billion. Eastern Europe, Western Europe and North America all are forecast to decrease as price wars and declining usage affect virtually all communications services markets. Enabling an empowered and innovative startup ecosystem, T-Hub, India’s largest incubator, has signed an important Memorandum of Understanding (MoU) with Aeries Technology Group. 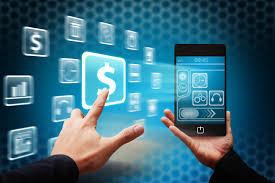 In a time and age, where smooth functioning of applications without downtime is an important requirement for most technology intensive startups, Aeries will be providing cutting edge, world class fault tolerant server and software technology for startups to host and test their applications to be enterprise and industry grade right. Aeries Technology will be offering its Stratus branded fault tolerant, “always on” software and server technology platform that enables the highest level of availability, virtualization and easy maintenance for all web and enterprise grade applications. By this technology, startups located in T-Hub will not only achieve unmatched business continuity and data integrity by preventing downtime, it will also help them manage their operations seamlessly with their customers. This allows for startups to build solutions that are industry ready, minimising risk of application failure due to lack of proper hardware and software availability. All in all, it will promote long term value with system longevity and integrity by minimizing the need for frequent technical refreshes. With this partnership, T-Hub will provide all of its startups secure networks, users, content and applications. Jay Krishnan, T-Hub CEO, said, “It is challenging for organisations, especially start-ups to maintain their IT applications and service capabilities round-the-clock. We are very excited about our partnership with Aeries and the unique opportunity it provides to companies within T-Hub by offering Stratus solutions that prevents downtime before it occurs and ensures uninterrupted performance of mission-critical business operations. Aeries’ Stratus-branded fault tolerant, “always on” software and server technology platforms are easy to deploy and manage, and can be installed directly into start-ups’existing IT infrastructures without any changes to their existing applications there by solving their business continuity issues and create new added value,” he concluded. As many as 17 merger and acquisition (MnA) deals with a combined investment of US$ 940 million have been made by Singapore companies with the Indian enterprises in the first half of this year, a global valuation services firm has said. "Almost all of them were transactions where the acquirer is from Singapore and the target from India," said Duff & Phelps Managing Director Srividya Gopalakrishnan. The 17 deals saw a combined investment of US$ 940 million. The big deals included Government Investment Corporation s (GIC) acquisition of stakes in Viviana Mall, Greenko Energy and Bandhan Bank; as well as Singapore Technologies Telemedia s acquisition of controlling stake in Tata Communications Data Centre business. There were four MnA deals of US$ 95 million between Malaysian and Indonesian companies and Indian enterprises, the consultancy said in its report "Transaction Trail" released this week, on mergers, acquisitions, private equity deals and initial public offerings in Singapore, Malaysia and Indonesia. The four M&As included Malaysia's Tenaga Nasional Berhad (TNB) 30 per cent stake in GMR Energy Ltd Energy US$ 300 million. "Some of the above stake acquisitions are by investment funds. As any other investors, their drive is to make good return on their investments," said Gopalakrishnan. "India has been a key destination for inbound MnAs (foreign companies acquiring Indian businesses) over the years across different segments," she noted. India offers a huge domestic markets for local consumption. It also offers several capabilities and benefits for export-oriented units including but not limited to technology and manufacturing set ups, Gopalakrishnan highlighted. 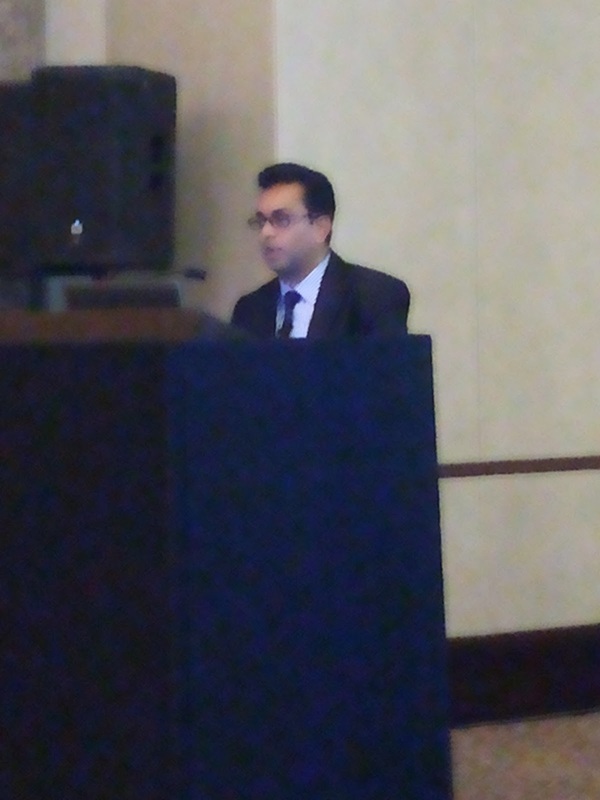 "International companies have managed to successfully make acquisitions or enter into joint ventures in India. 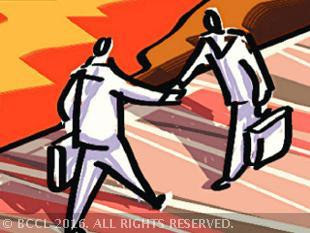 M&A has been one of the ways in which they have expanded their India footprint," she said. "Many companies have realised that MnA is not something exotic, but it is a strategy relevant for their day-to-day business," elaborated Gopalakrishnan. "As we see a slow-down in growth rates in developing countries and modest growth rates in mature markets, inorganic opportunities become critical for sustenance. "This also helps companies internationalise their businesses, add on service offerings, leverage on global capabilities and mitigate their own shortcomings," she said. Bengaluru retained the top slot for the highest office space transactions in the country in the first half of 2016. The city clocked a total transaction space of 6.1 million square feet during the period of January to June 2016, almost matching the 6.1 million square feet of office space transacted during the corresponding period in 2015. The city attracted substantial interest among the IT and ITeS sectors, with big players like Google, Infosys, HP, TCS occupying large spaces, which resulted in H1 2016 emerging as the period with the highest transaction in four years, falling marginally short of the H1 2011 level. “The new office completions took the total office stock to 128.5 million sq ft in H1 2016, while the occupied office stock recorded 119.4 million sq ft, making it the office market with the largest occupied stock in the country,” adds Satish. Vacancy rates, which had been declining steadily over the years owing to consistent transactions and retained new competitions, continued to remain at 7 percent in H1 2016 despite the substantial number of new completions this year. Speaking on the occasion, Shishir Baijal, Chairman and Managing Director, Knight Frank India said, “The real estate sector in India could be at its inflection point with sales in the top six residential markets showing a positive trend registering 7% growth in the first half of 2016. Factors like lower interest rates and a good monsoon will further boost the stakeholder sentiment. We had predicted a revival in market momentum in our FICCI – Knight Frank Sentiment Index of Q1 and the sentiments have gone up after six consecutive quarters. The reasons for these can be attributed to the time correction of prices in most markets, RERA becoming a reality, recent amendments to REITs and an overall positive regulatory environment to name a few. He further added, “On the office front, H1 2016 witnessed a 12% growth in the transaction volume across the top six cities of India. The H1 has been an encouraging period, as more than 19mn sq. ft. of space was delivered, compared to just 15.8 mn sq. ft. in the same period in the previous year. Vacancy levels in top six cities fell marginally and rental values have continued to maintain their upward movement in most of the cities.